The time has come. 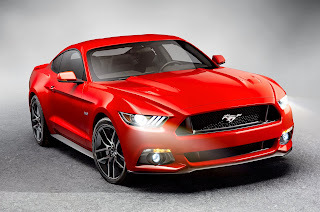 It seems like Mustang fans have been waiting forever, but we can finally provide you with official photos and information for the 2015 Mustang. No more speculation. No more spy photos. This is the real thing. 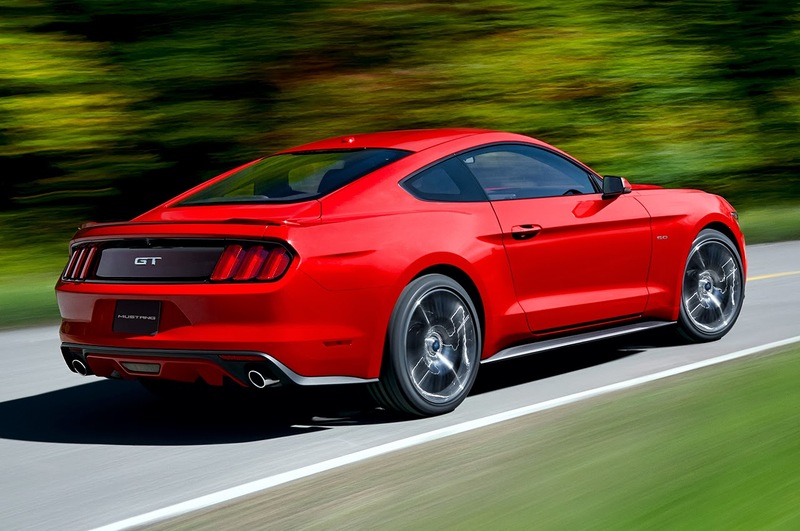 Much of what we expected about the 2015 Mustang is true. The 2015 Mustang is lighter. It will come with an independent rear suspension. 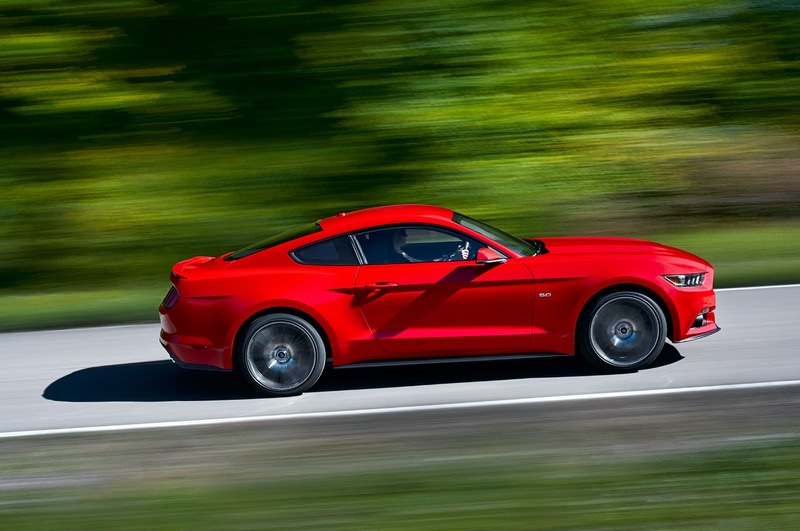 A turbocharged four-cylinder engine will be available. 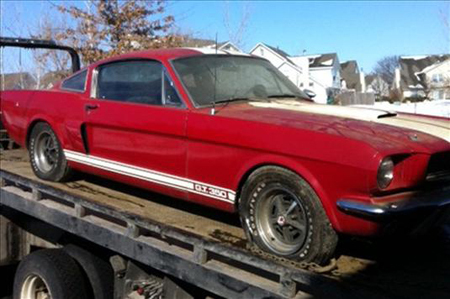 Even the appearance of the car, while never revealed officially, was hardly a secret. The renderings that have been posted over the last several months have been getting closer and closer, and the official photos released by Ford show that the digital artists weren’t that far off. 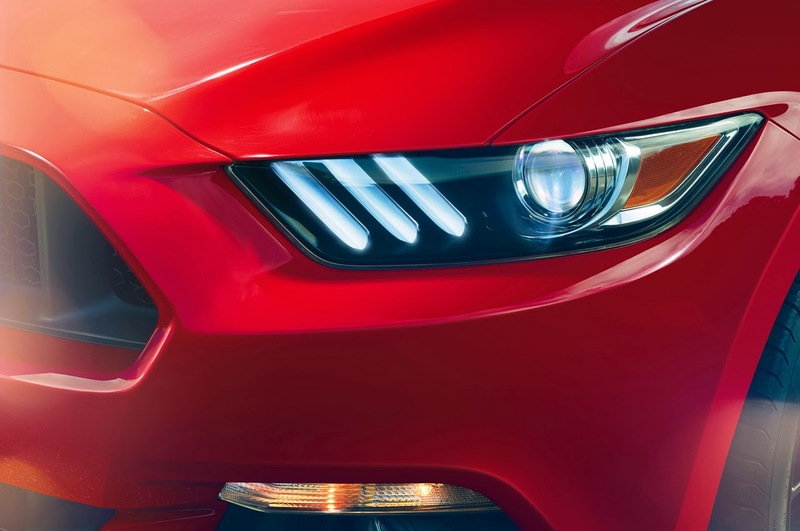 The influence of the Evos Concept can be clearly seen in the design, with the trapezoidal grille and slimmer, wraparound headlights. But the front end is still undoubtedly Mustang. 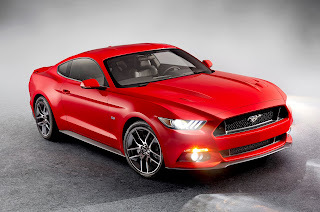 The hood is fairly aggressive, at least on the GT model, with a significant cowl and heat extractors. The side profile is perhaps the most surprising, with the side scoop, a styling mainstay since 1994, now gone. The quarter windows have been left off as well, providing a somewhat more plain appearance. 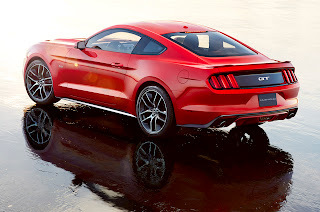 The 2015 Mustang does have more of a fastback profile than before, though, which leads to a simply yet beautifully styled rear end. 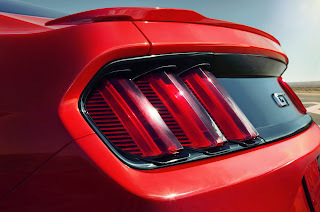 Thankfully Ford has kept the tri-bar taillights, and we think they look better than ever. 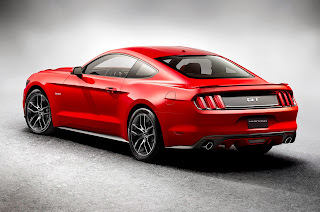 Our only hesitance with the styling is the body-colored rear diffuser, which seems to stick out like a sore thumb. Along with the updated design a few new colors will be available as well. 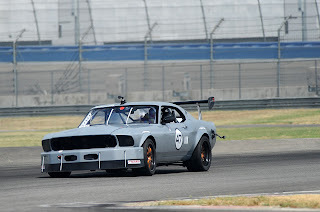 Yellow is making a comeback (Triple Yellow, officially), and Competition Orange (a previous Boss 302 color), Magnetic (gray) and Guard (a darker gray) will also be options. Grabber Blue, Gotta Have It Green and Sterling Gray are no longer available. 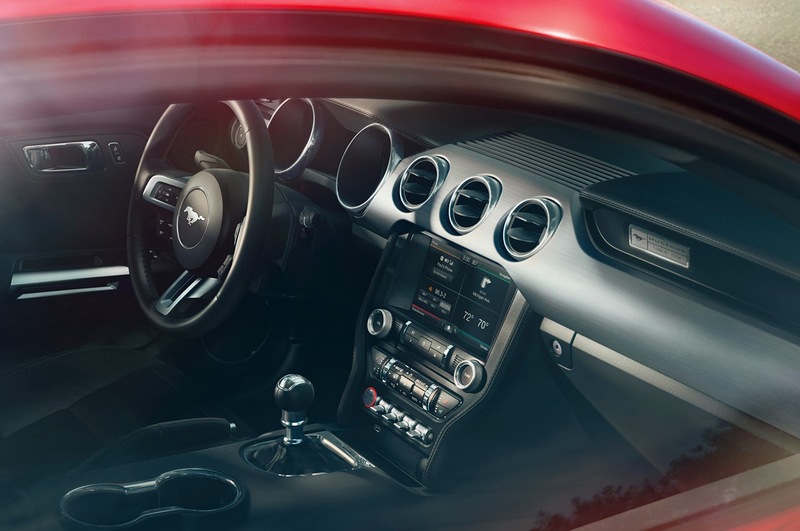 Inside the Mustang has been further refined and updated with Ford’s latest in technology. Nearly every inch of the cockpit has been redone including the steering wheel, gauges, dash, instrument panel and seats. 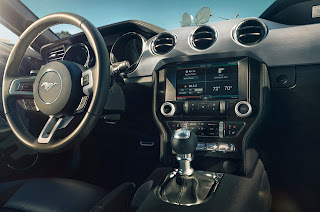 From the photos it looks like the interior materials have been vastly improved, but we’ll only be able to say for sure when we see the car in person. 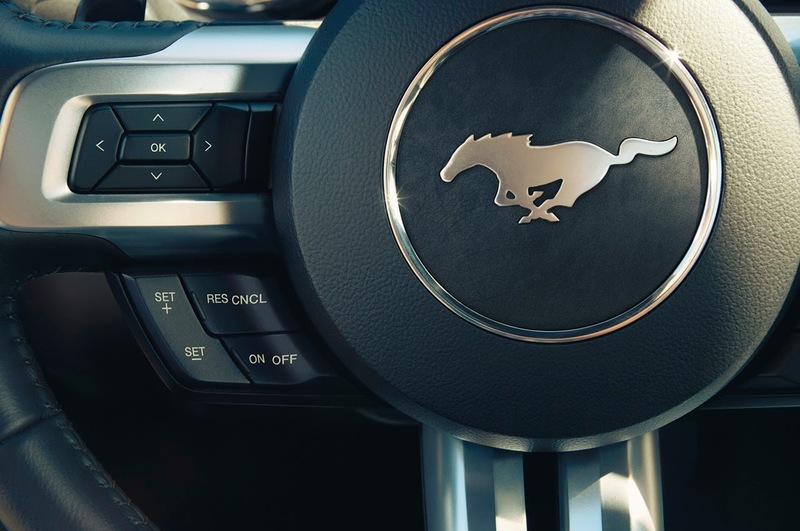 Paddle shifters are now a feature with the 6-speed automatic, finally. Getting into technical specifications, the 2015 Mustang has new dimensions. 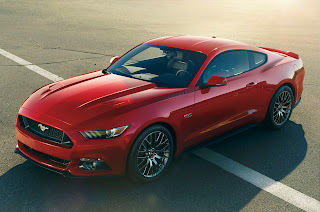 While it shares the 107.1-inch wheelbase and is only .2 inches shorter than the S197 platform, the new S550 Mustang boasts a wider rear track, 64.9 inches compared to 62.1 inches, is 1.5 inches wider and 1.4 inches lower. All of that adds up to a potentially more aggressive look. Overall weight has been reduced by approximately 200 pounds, partly thanks to new aluminum front fenders that shave the pounds where it counts the most. 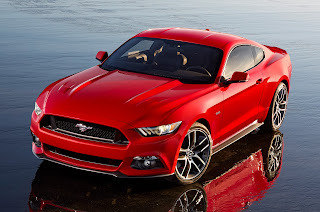 Along with the new independent rear suspension system Ford has also updated the front suspension as well. A new double-ball-joint MacPherson setup replaces the old design. 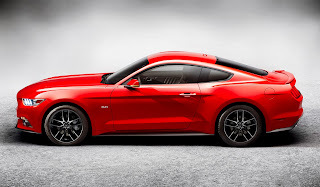 Performance Packages will be available for both the GT and 2.3-liter Mustangs, offering up sportier suspension tuning and larger brakes (15-inch, 6-piston front brakes for the GT and 13.9-inch front and 13-inch rear brakes for the 2.3). The one item Ford hasn’t released yet are the specifications for each of the powertrains. 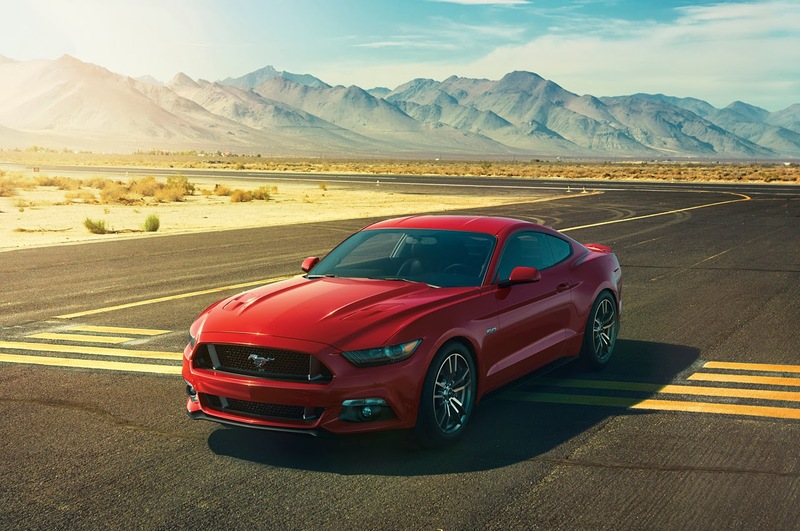 The 2.3-liter turbocharged engine is now a premium upgrade over the 3.7-liter V6, although no official horsepower or torque numbers have been provided. 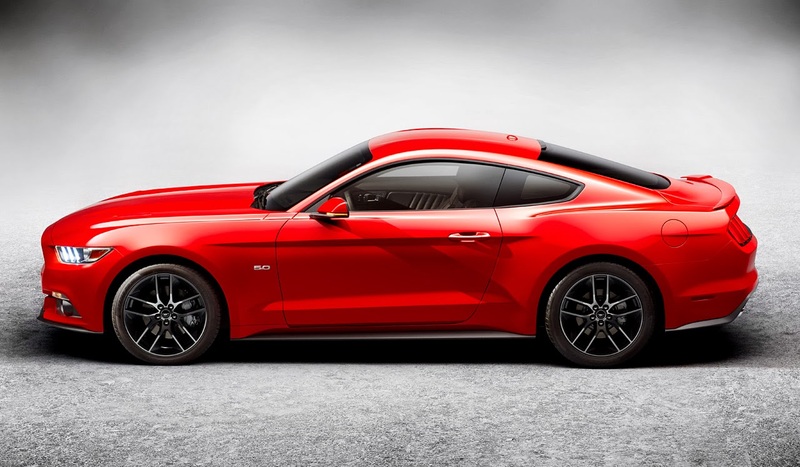 However, expect around 305 horsepower and 300 lb-ft torque. The V6 should remain unchanged, and the Mustang GT’s 5.0-liter V8 will supposedly receive a bump in horsepower. The bad news for those wanting to purchase a 2015 Mustang is that they won’t be available until “late 2014.” Now that we’ve got you all excited, get ready to wait some more. 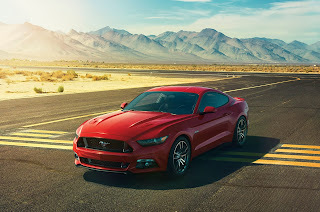 This entry was written by by Anna Nova (Ford Mustang) and posted here on Saturday, December 7th, 2013 at 6:22 am and is filed under 2015 mustang, Reviews. This article was not written by us, rather gathered using RSS feeds listed here. We take no credit for this article. You can leave a response, or trackback from your own site.